4 BR 3 bath sound side home originally built in 1992 was totally remodeled in 2008/2009 to include roof, Simonton windows,Anderson doors, Hardy siding, exterior decks,2-zone HVAC,Hydra stone lined 80 gallon water heater, black granite counters, and flooring. 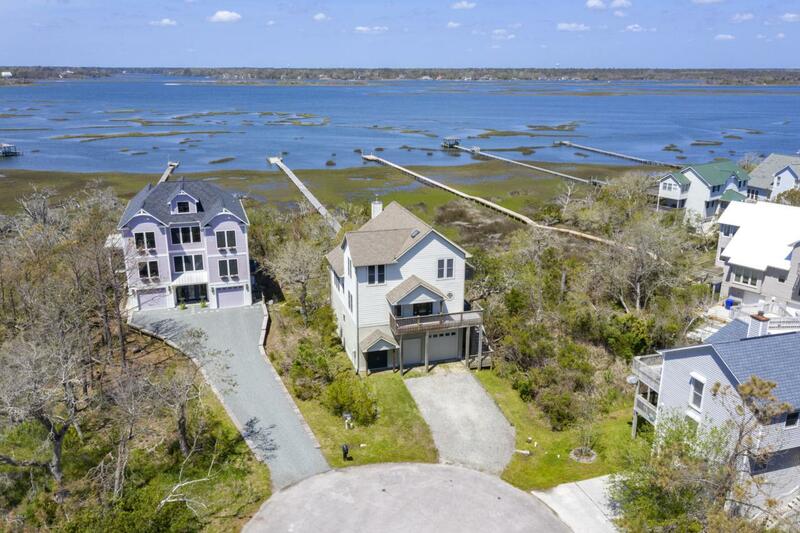 Surrounded by live oaks & pines on a culdesac only a short walk to the deeded beach access, this home has been meticulously maintained and never rented. Upon entry see the 180 degree sound views from the great room with spacious kitchen, formal dining, & cozy den featuring a red porcelain wood stove. From great room enjoy breezes from the screened porch overlooking the 5ft wide walkway out to the dock where you can pull your jet ski out and launch from the side ramp. Rarely found the garage for this home has 13 ft height clearance which allows for RV or boat storage, with loft for additional storage, and rear door access to walkway to dock. Private location, well maintained, water accesses, & boat storage equals perfect. Listing provided courtesy of Jackie L James of Coastal Carolina Real Estate.